“The Boy & The Beast” opens Friday at Sundance Cinemas. PG-13, 1:59, three stars out of four. The Japanese anime film “The Boy & The Beast” begins with a thunderous intro, as we see part-human/part-animal warriors battling for supremacy, their silhouettes wreathed in fire. It may seem a strange intro for a movie that, at heart, is as much a tender drama about blended families as it is a martial arts saga. 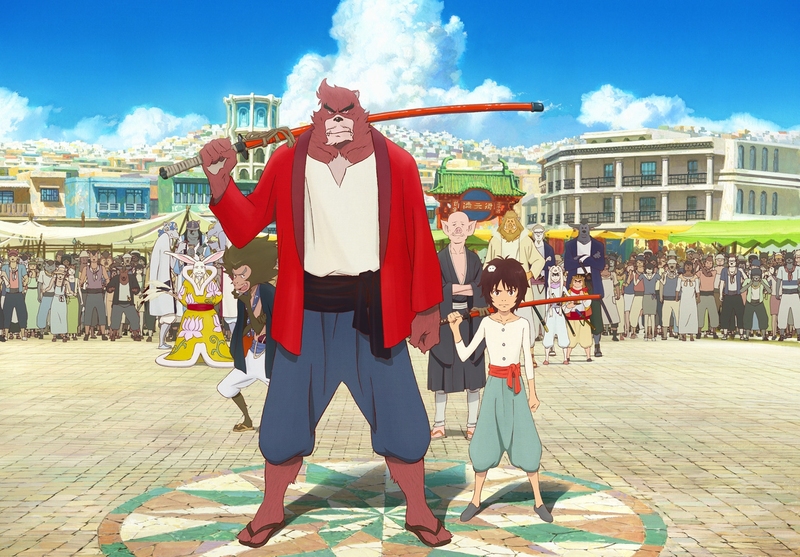 Writer-director Mamoru Hosoda (“Wolf Children,” “Summer Wars”) expertly blends emotion and action into a gorgeous and enchanting anime film aimed at older children and adults. Wandering late at night, Kutya comes across a mysterious figure – Kumatetsu, a wolfman-like warrior from the hidden realm of Juntengai, a world populated by half-human/half-beast creatures. Kumatetsu’s sidekick is a wise-cracking monkey man, and his rival to serve as martial arts master of Juntengai is the beloved Iozen, a lion-man. Arrogant and vain, Kumatetsu is as much of an outcast in his society as Kutya is in his – Kumatetsu reminds me of Toshiro Mifune’s wild-eyed samurai from “Rashomon.” Kutya trails Kumametsu back through a portal to the beast world Juntengai, and asks to become his martial arts apprentice. 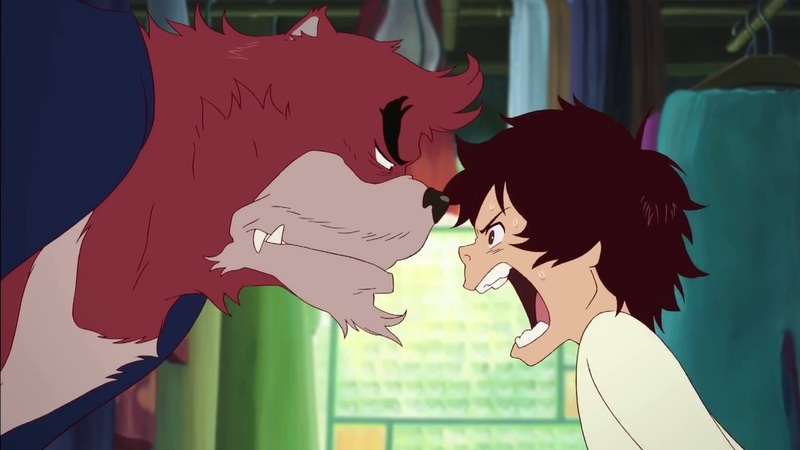 Much of “Boy & The Beast” centers on this oddly tender relationship, as Kutya benefits from Kumatetsu’s tutelage, while the irresponsible Kumatetsu matures once he has someone who looks up to him. But as Kutya matures into a teenager, he starts to yearn to explore his own human world as well. Beneath the fight sequences and bright colors of the animation, “Beast” has surprising emotional depth. At times the movie adheres to a kind of dream logic, making us wonder if the beast world really exists or is some metaphor for Kutya’s inner life. The two worlds collide in a dazzling finale, in which Kutya must preserve his beast world by battling a creature that may be a physical manifestation of his inner pain. It’s a blunt metaphor to be sure, and the film takes a little too long getting to the crux of the matter, but “Boy & the Beast” presents it in such a visually stunning and emotionally resonant way that it works.